Lots of goodies were cooking and tested by the spouse. While Ma in her apron was a holiday-cooking fool. That’s my sad attempt at putting a poetic spin on the holiday as I swirl around the house on Thanksgiving Eve. Like many, I’m in the kitchen today prepping for tomorrow’s big meal with family. My sister Lori and I traditionally take on the cooking and baking, something we both enjoy, and we like to incorporate old favorites along with the new dishes. We broke tradition a few years ago when we roasted a chicken, a new idea that carried over last year and will continue this year. Lori and I are adding side dishes, bread, and desserts. It’s comforting to stay in touch with family and Southern traditions by using familiar recipes. My Aunt Ola made the best baked mac and cheese you’ve ever wrapped your lips around. It’s a lot of cheese and many memories, a reminder of fun family dinners at her house when there were so many of us that we barely fit, and we had a children’s table in the kitchen and a grown-up table in the dining room. I think I was in my 30s before ever graduating from the children’s table which, sadly, meant the grown-ups were growing older and leaving us. There’s many happy memories of those years at the children’s table especially after I had my own children and we were all sitting in there together. Chocolate pies were always anticipated at holidays from my Aunt Ruth. These aren’t pudding-from-a-box pies. These are — pardon my language — “stir-your-damn-arm-off” real chocolate filling (as it was deemed by my sisters and me because it took forever to thicken and you couldn’t leave it unattended or it would stick to the bottom of the pan and burn). After it was cooked just right, the delicious concoction was poured into a homemade crust. I take a short cut on the crust — no patience for making it and really don’t want to spend the time — and buy a ready-made one, something Aunt Ruth would never have done. One year I made phyllo pastry crust for something new and a little — emphasis on “little” — healthier. The pie is a meringue-topped decadent chocolate fantasy so after my aunt passed away over 20 years ago, I carried on the chocolate pie tradition. That’s what holidays are — traditions carried on by families from generation to generation. My aunts were fantastic cooks from a large family and my sisters and I learned their tricks of the trade. One slice of pie or a serving of macaroni and cheese unlocks special memories of years past — those who are no longer with us, cousins and grandparents and aunts and uncles — and tomorrow that will be going on all over America. The food is delicious, the baking is fun, but the best part of Thanksgiving is being with family. Though my father passed away years ago leaving behind daughters who were 13, 20, and 22 at the time, another dad came into our lives when Cal married our mother, and so we are grateful to celebrate with the two of them who are now the youthful ages of 91 and 92. To America’s military members who are stationed around the world and away from their families, a special thanks and prayers for them and their loved ones. We can never repay their dedication, sacrifice, and service to our country which allows us the freedom to celebrate Thanksgiving in a peaceful land. 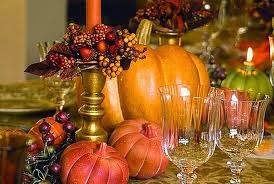 As I head back to the kitchen to finish food prep, here’s wishing a Happy Thanksgiving. To those who are traveling for the holiday, be safe out there. I printed Eula Kennedy’s obituary today. While on the computer I looked up the Kennedy Store and saw your article from 2012. We are related. Carl M. Kennedy was my great grandfather and John was my grandfather. My mother was Lavonne. I would enjoy knowing how we are related. My name is Mike Absher. Feel free to contact me at my email address listed below. Mike, good to hear from you. Carl was my grandmother Molly Kennedy’s brother. The Kennedy Store holds special childhood memories for me when Holt ran it and I was a little kid. My sister and I used to play with Joan whenever my family visited the Kennedy family members. I was hoping some relatives would find that article but you are the first. Our grandparents were siblings. That would make our parents first cousins so are we first cousins once removed? Or second cousins? Or something like that? Thank you for contacting me. I’d like to learn more about the family connection so we could continue this through email, if you like: LynnRMitchellva@gmail.com. I’m wrong as I reread and see that Carl was your great-grandfather, not grandfather, so that makes us a generation apart: Carl was your great-grandfather, his sister Molly was my grandmother so we take it from there….